Carrie of Kettering had been researching big dogs to see what breed would be a good fit for her, and it seemed a greyhound would be perfect. Red girl Bella Holly, now shortened to Holly, is mellow, sweet tempered, and goes with the flow. Once she discovered her new plush bed, it was nap time, even though we hadn't taken a family photo yet! We managed to wake her long enough for her to join Carrie for the picture. 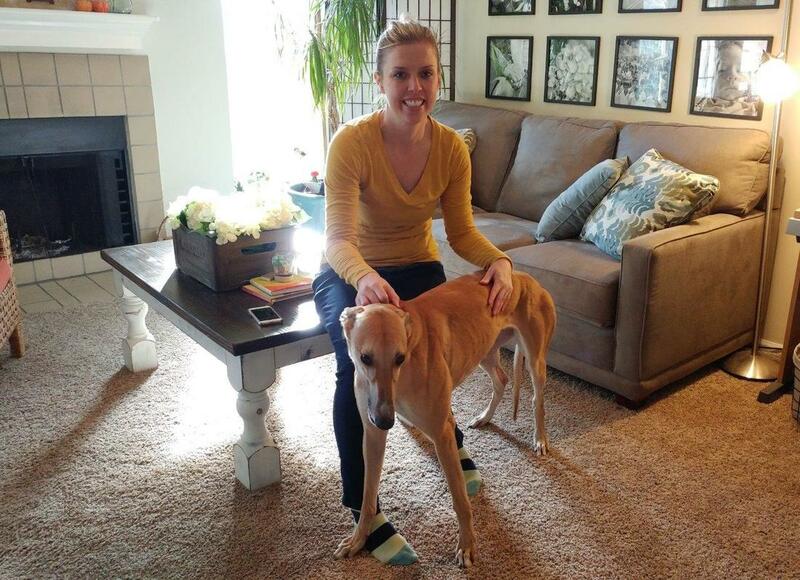 This super sweet greyhound found her way to a terrific home.